GMC on Thursday unveiled the next-generation 2019 Sierra truck and confirmed that an optional Denali upgrade will include a carbon fiber bed surrounded by either carbon fiber or glass-fiber sides. Three of the “CarbonPro” box’s sides and the bed itself are carbon-fiber-reinforced polymer. The tailgate inner and wheelwells are glass-fiber-reinforced polymer. The bedside outers remain steel, while the exterior of the tailgate is aluminum. It’s 62 pounds lighter than the base tailgate. 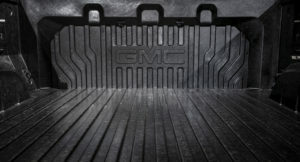 “In 116 years of making GMC pickup trucks, our industry-first carbon fiber box is the toughest and most durable pickup box we have ever made,” GMC global Vice President Duncan Aldred said in a statement. The regular Denali and all other Sierras will resemble the metallurgy of the next-generation 2019 Chevrolet Silverado, which shares a platform with the Sierra. Both trucks’ boxes and beds are steel, except for an aluminum tailgate. 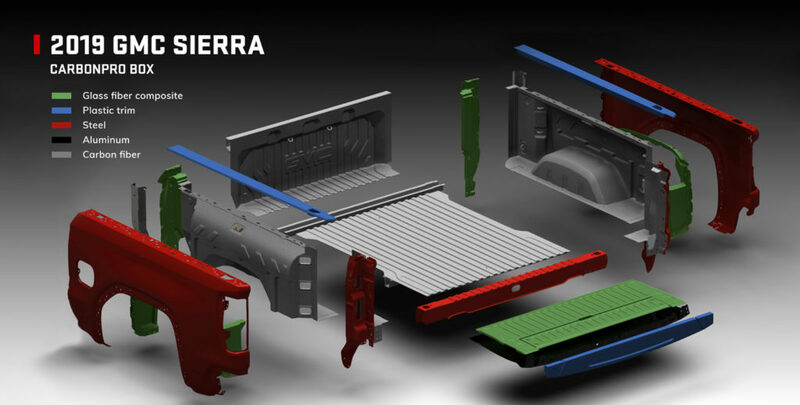 In the Sierra’s case, it appears as though trucks with a special multifunction tailgate (more on this later) will have a fiberglass inner tailgate instead of the aluminum inner found on the Silverado. 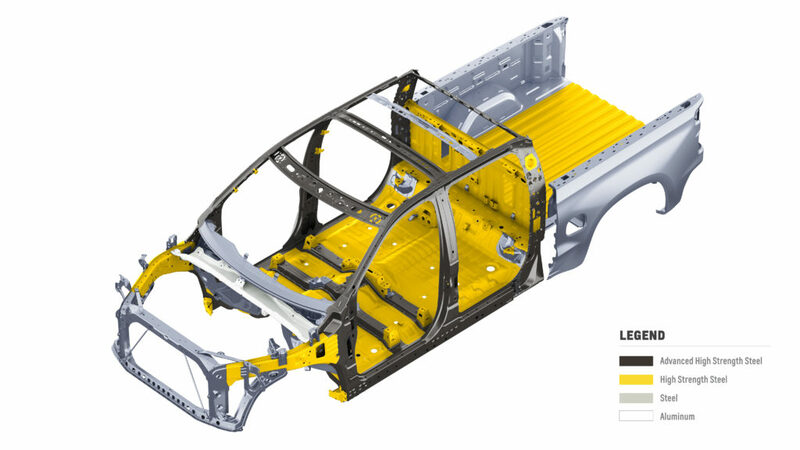 However, shops should note that 2019 Silverado’s bed uses a higher-strength steel than the previous-gen Silverado, with a yield strength climbing from 340 megapascals to 500 MPa. 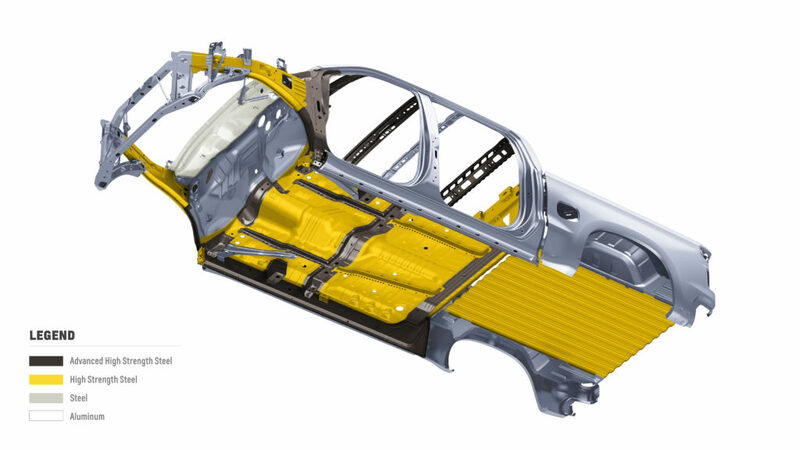 GM said a similar upgrade occurred on the Sierra, describing the steel bed as 50 percent stronger than the bed on the outgoing 2018 Sierra. Anonymous sources had leaked the existence of the bed to the Wall Street Journal last year. That report held that the carbon-fiber box could be offered on the 2019 Silverado. Wysocki said she couldn’t disclose pricing for the CarbonPro bed option. Asked for a prediction on how many Denali trim buyers would opt for the CarbonPro upgrade, Wysocki said GMC thought it would be popular but “we’ll let the market tell us.” Denali buyers tend to want the “best of everything,” she said. The company hadn’t ruled out offering the box as an option on other Sierra trims, but it depended on how the market responded, she said. GMC sold 217,943 Sierras last year. Asked for some context into how many Sierra buyers chose the Denali trim, Wysocki said it and the second-highest trim SLT made up 87 percent of Denali sales. Wysocki said she didn’t know if GM would use a carbon-fiber repair network to handle the CarbonPro bed or if it’d be something any collision repairer can fix. GMC cut 360 pounds out of the standard-tailgate 2019 Sierra compared to its last-gen predecessor. 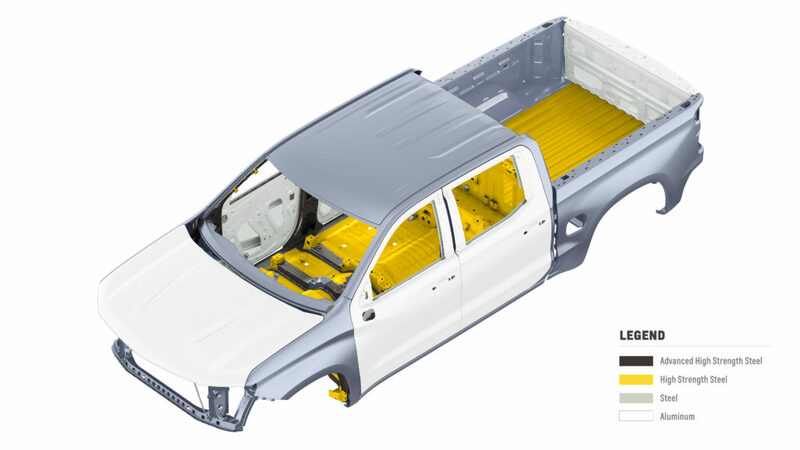 Like the 2019 Silverado, the 2019 Sierra’s bedside outers and roof are steel, while the doors and hood are aluminum. The OEM didn’t mention the frame, but that’s likely stronger and lighter than the 2018 edition as well. 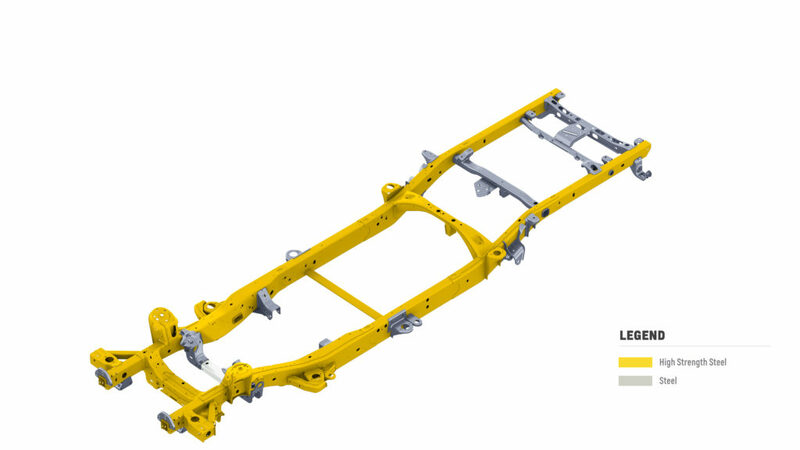 The 2019 Silverado’s frame is 88 pounds lighter but 10 percent more rigid and mostly made out of high-strength steel. Here’s the 2019 Silverado body and frame to give you a rough idea of what to expect on the GMC Sierra sharing the same platform. Chevrolet said the Silverado had seven different grades of steel in the cab, and repairers should expect GM to continue restricting what you can do on the alloys found in the Chevy truck and whichever metals end up on the Sierra. Though only a few parts are aluminum, a shop might still need to invest in tools and space to handle that material on the Sierra or risk corrosion. 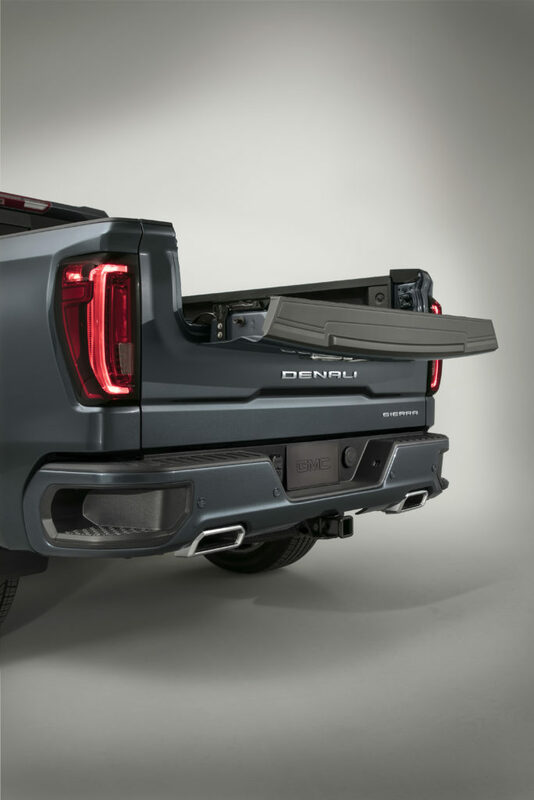 As mentioned above, the SLT and Denali trims have a standard highly adaptable “MultiPro Tailgate.” If the truck gets hit in the rear, this could cost a little more to fix. An option for “Hitch Guidance with Hitch View and Auto Electric Park Brake” exists, as does the opportunity to add side-view cameras and a trailer-mounted camera. There’s also a trailer theft detection feature. The Denali offers the option for a “dual-function” rearview mirror with a “higher resolution” camera feed that can be zoomed or titled. It sounds like an upgraded version of the technology General Motors debuted on the Cadillac CT6 in which the rearview mirror can be toggled between a standard mirror and a video screen. 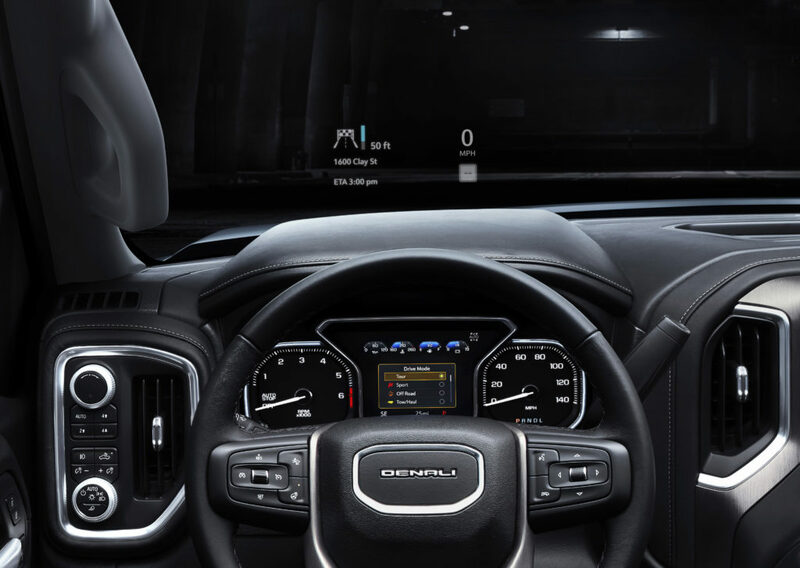 A head-up display projects on a 3-inch-by-7-inch area on the Denali window; it’s unclear if this will be an option or standard and if it’ll be offered on any other trims. “Sierra Denali features an exclusive Adaptive Ride Control suspension system designed to provide premium driving refinement with exceptional responsiveness,” GMC wrote. “It employs sophisticated sensors to monitor road conditions and chassis responses in real time, enabling adjustments to active dampers every 2 milliseconds.” This sounds like the sort of thing that could require some combination of inspection, scanning and calibration after a collision.